Growing pressures are leading UK hospitals increasingly to rely on premium overtime pay to get consultants to do extra work, the BBC has found. Spending on high-cost overtime has risen by more than a third in the past two years, figures obtained under the Freedom of Information Act suggest. One doctor made an extra £375,000 last year on top of their salary. Hospitals blamed a consultants shortage amid rising demand, but ministers said the way doctors were paid must change. Payments of about £600 in overtime for a four-hour shift are common - three to four times what consultants get normally - but there was some evidence of payments around the £1,000 mark. It is up to individual hospitals to negotiate payments. The BBC found examples of hospitals that did not pay any high rates and others that had managed to negotiate much lower rates for shifts relating to urgent and emergency work. The BBC investigated the issue using FoI and follow-up interviews with hospitals and doctors. Some 140 trusts and health boards out of 186 asked provided information, although not all of them were able to answer all of the questions. The investigation just focused on overtime paid at higher rates. It did not capture extra shifts done for normal pay. 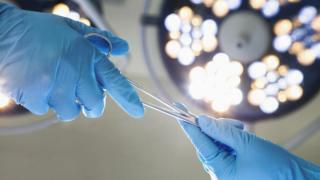 Hospitals said that originally consultants had been able to negotiate higher rates for routine work because their contracts allowed them to opt-out of such work at weekends. But they said the rising cost seen in recent years was down to shortages of consultants and rising demand. Professor Mark Pugh, medical director of Lancashire Teaching Hospitals NHS Foundation Trust, which was responsible for paying the £375,000, acknowledged the situation was "clearly not sustainable". "There is an acute shortage of consultants for some of these specialities and as we have not been able to source the additional staff we need as demand has risen, we have paid overtime to the existing workforce to deliver extra clinics so that patients can be seen and treated as quickly as possible," he said. The trust refused to name the doctor who earned £375,000 or what speciality they work in or how they managed to rack up so much in overtime. It said the doctor had done "significantly more hours than usual at an enhanced rate" because of a shortage of consultants and high demand. Andrew Foster, chief executive of Wrightington, Wigan and Leigh NHS Foundation Trust, which stopped paying premium overtime rates in 2010, said: "I don't think it is very defensible to pay a huge premium to one group of staff and not to other groups of staff. "No other member of staff gets triple pay for doing extra shifts." The Department of Health in England said it was looking to tackle the issue in England by renegotiating the consultant contract. It wants to remove the opt-out that allows consultants to refuse to do non-emergency work at weekends. Ministers blame this for creating a situation where doctors can command high rates for extra shifts. A DoH spokesman said consultants did a "vital job" and should be "properly rewarded" but removing the opt out would mean a better standard of care across the week. He added the government was also seeking to increase the numbers of consultants in the NHS. But Keith Brent, the British Medical Association consultants leader, denied the situation was linked to the contract but instead a "clear sign" of doctor shortages. "There are also lots of consultants working extra hours for nothing or for normal pay," he said. "These payments are made because there simply are not enough doctors and hospitals are under pressure to meeting waiting time targets." Danny Mortimer, head of NHS Employers, who is helping negotiate the new consultant contract on behalf of the government, agreed there were plenty of doctors doing overtime for no pay, or for normal rates. But he said the information obtained by the BBC "challenges NHS organisations and teams about what arrangements they have in place". He said he hoped the result of the contract negotiations would be a much more "standardised basis" for extra work.